The Tri-Basin Natural Resources District (NRD) in collaboration with JEO Consulting Group, Inc. is in the process of updating the 2013 All-Hazards Mitigation Plan (HMP). 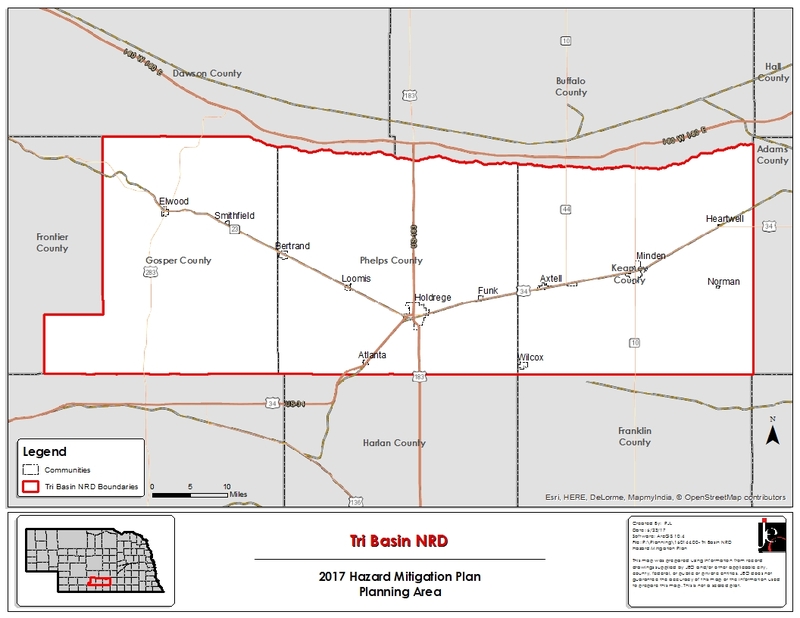 The NRD’s existing HMP was approved by FEMA and adopted by participating jurisdictions in 2013. FEMA requires that an HMP be updated and approved within a five-year period. Building partnerships within your community and across the counties. The Tri-Basin Natural Resources District Hazard Mitigation Plan has been approved by both FEMA and NEMA. The final plan is available for download below. At this time, we are requesting that participating jurisdictions begin the process of adopting the plan. The governing board for EACH participating jurisdiction will be required to adopt the plan before they are eligible to pursue any hazard mitigation grant assistance. JEO has provided draft adoption resolutions to each county emergency manager and participating jurisdiction. When your jurisdiction has passed the adoption resolution, we ask that you provide (via email or USPS) a copy of the adoption resolution to the JEO team. These resolutions will be forwarded to NEMA for their records.